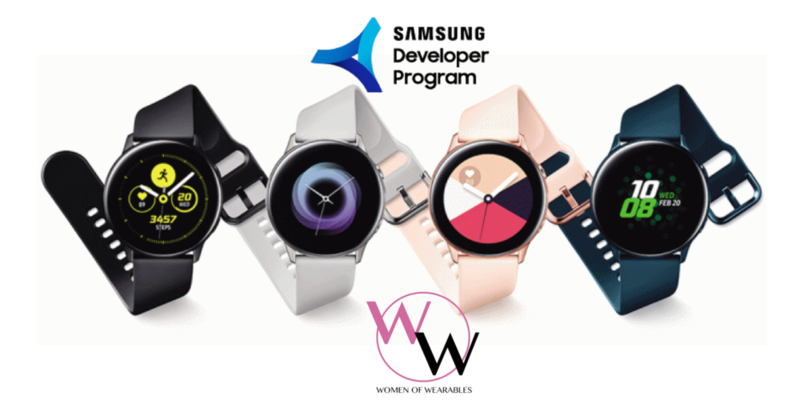 The Samsung Developer Program, in conjunction with Women of Wearables, had an exciting panel dedicated to Samsung's new Galaxy wearables! We learned more about the people behind Samsung's most innovative products and about great opportunities to get your wearable app design featured. It was a great event. Over 100+ Wowsers braved the gale force wind and rain to attend Samsung x Wow: Let's Discuss Wearables. We had a great panel, games, giveaways and more thanks to the Samsung Developer Program team. Our panelists were phenomenal, thank you Swale Nunez, Cara Wonders, Bianca Da Silva, Kelvins Song and Wandia Chiuri. Betaworks Studios was a beautiful and gracious venue host. And You! our engaged and dedicated audience made it all worth while. Thank you for coming out and supporting us. We appreciate your participation and feedback. Last but not least, a special thank you to our content partner Verse (who provided the beautiful pics below) and our incredible WOW member Donna Cheng (see her pictures on WOW NY Meetup page). Swalé has spent over a decade leading the architecture, design and development of mobile enterprise solutions for clients ranging from startups to the top fortune 500 companies across verticals. He has a unique combination of technical knowledge and creative design thinking that has produced a number of innovative solutions within the Enterprise. He is a developer advocate and an enabler of creativity. Kelvin has spent the last five years working with a suite of Samsung products including, Tablets, Windows PC and Chromebooks. Kelvin is currently the Product Planning Manager for Samsung Wearables, working on the Galaxy Wearable Product Portfolio, including the just launched Galaxy Active. Kelvin has held various roles at Samsung including, leading GTM (Go To Market) on Mobile Computing Products (Tablet, PC), Program management for all connected Wearable and Gear VR, Market Intelligence Analyst and Lead of Product Planning and GTM of Galaxy Watch. Over the last 15 years, Wandia has designed a career that combines an ardent interest in global markets with enthusiasm for adventure, fascination with science and passion for people. An innovative, enthusiastic, and creative business professional with a strong leadership track record, she has worked at Fortune 500 corporations like Johnson & Johnson, and serves on the boards of two non-profit organizations. She successfully launched several social media initiatives, including a pioneering pilot utilizing high-touch, low-cost technology to identify the unmet needs of customers and increase channels for engagement. Cara brings over a decade of strategic talent acquisition recruitment experience, most recently serving as the Head of Strategic Talent Sourcing at Samsung Electronics America. Her team supports the most critical hiring needs across the organization’s full spectrum of businesses and specializes in deep dive recruitment for domains such as Product Marketing, Strategy, Engineering and Research & Design. Through her leadership, she strives to build the best talent, while inspiring her team to be architects of their futures and to #OwnTheUnknown. Bianca is a 3x Cannes Lion winning strategic marketer with over a decade of experience in technology marketing. Her combined 5 years’ experience at Samsung in both Australia and the US has seen her lead marketing for various product categories and develop breakthrough campaigns for mobile phones, VR as well as wearables. Her passion for technology allows her to push boundaries and help establish and grow emerging categories while developing meaningful use cases to better consumer’s lives. A philanthropist, motivational speaker, brand strategist and entrepreneur, Amanda McIntyre-Chavis has an unquenchable passion for music, art and technology. She is the Chief Experience Officer and Founder of LegendFactory, an interactive brand management company and two new tech initiatives: Muzaik, a social media aggregator app and Myndfull, a wearable tech and wellness company. She is also the ambassador of the NY Chapter for Women of Wearables- Wearable Technology (W.O.W). 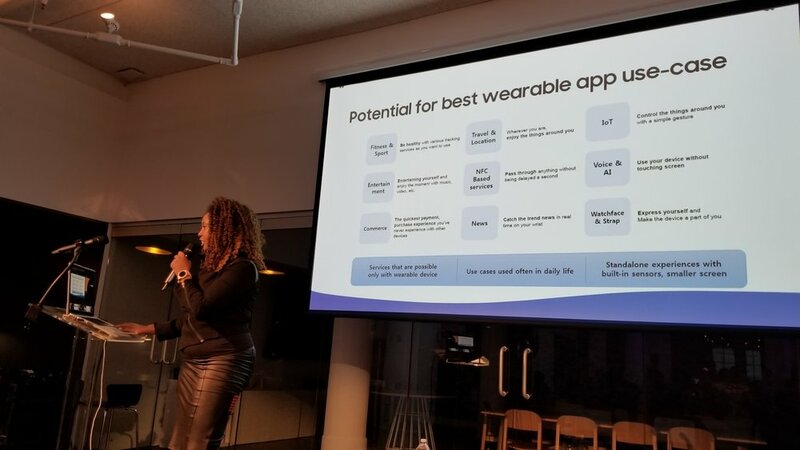 Women of Wearables (WoW) is the first global organization aiming to inspire, support and connect women in wearable tech, fashion tech, smart textiles, IoT, health tech and VR/AR. WoW has more than 10,000 members located around the globe.